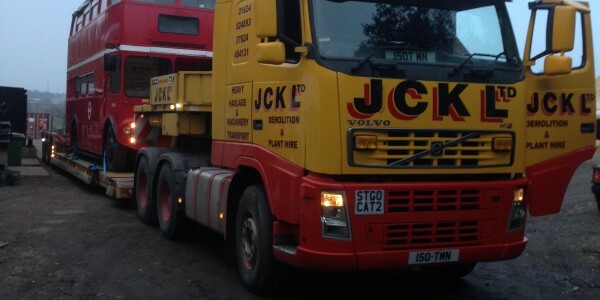 Haulage of imported products from port to site is another regular job; products include road salt and specialist materials for Equestrian Centres. 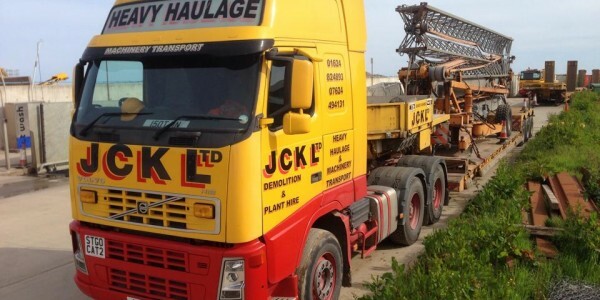 JCK also supply the necessary plant to unload the ship in these cases. 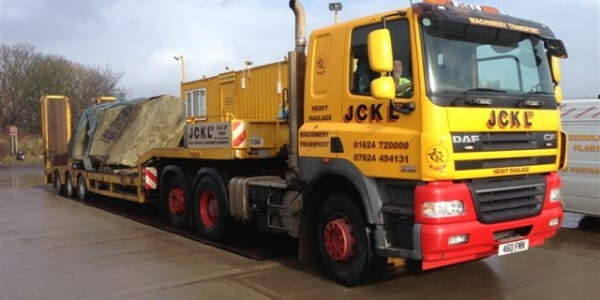 Alloy insulated vehicles for tarmac and aggregates. 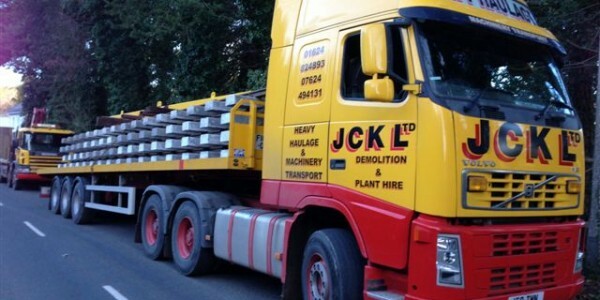 Steel bodied vehicles for demolition materials, rock and concrete. 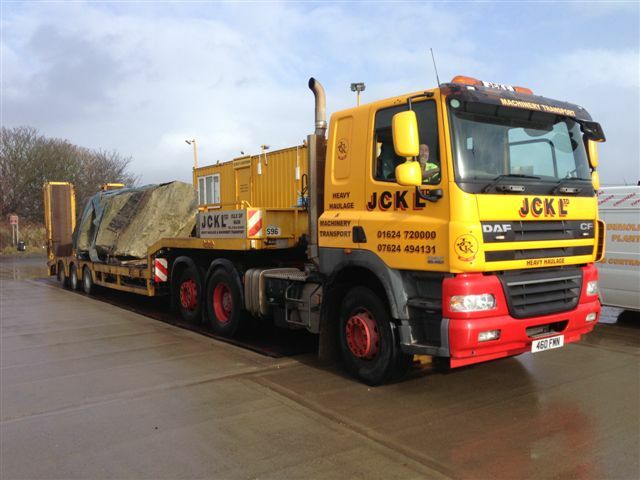 Roll on/off and conventional skip wagons with various skip sizes for waste disposal. 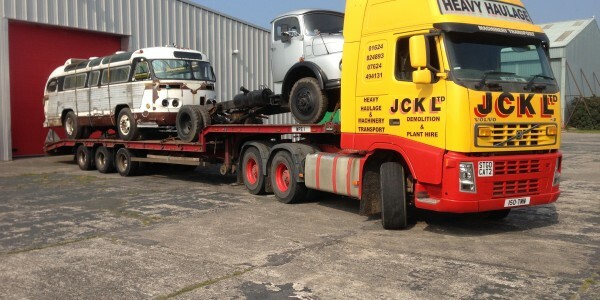 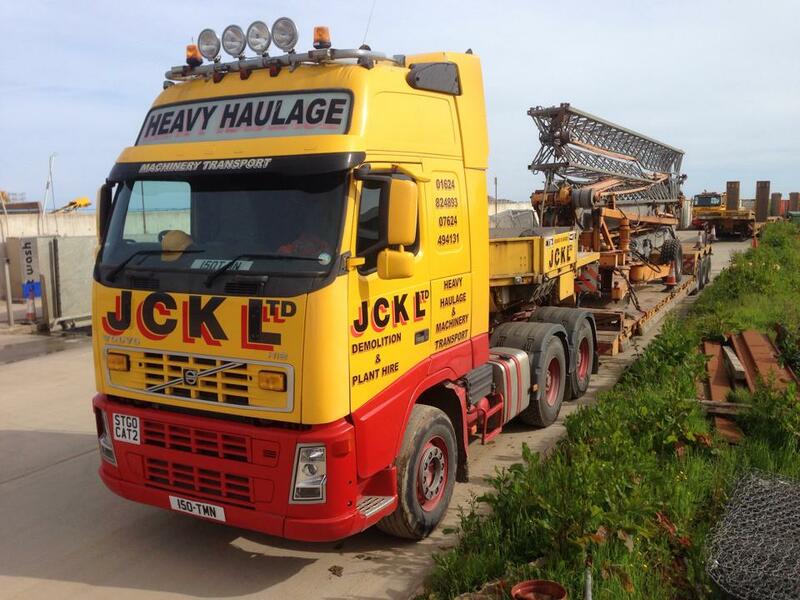 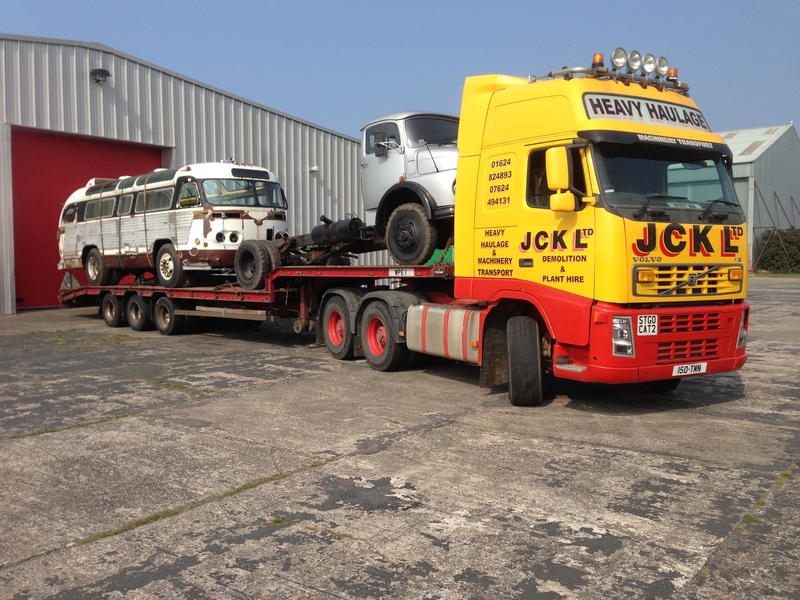 JCK are noted for having this type of transport and have a large customer base. 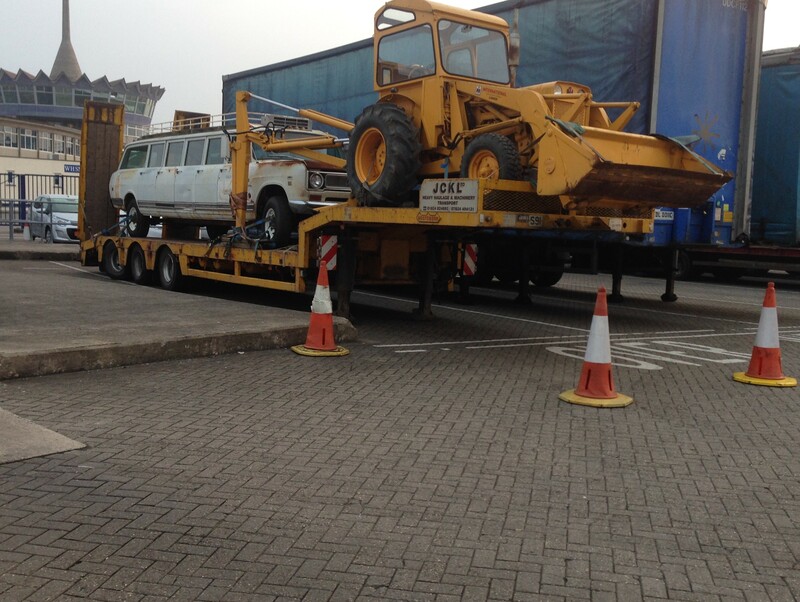 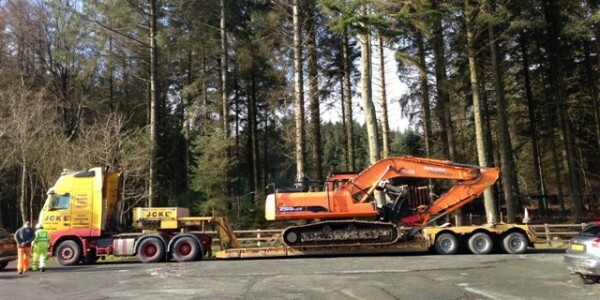 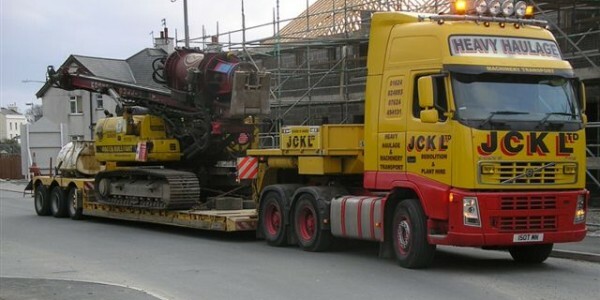 We offer a general lowloader and machinery transport service and also catering for the needs of companies transporting loads to and from the UK mainland, working closely with many of the main machinery suppliers such as Volvo, Caterpillar and Liebherr etc. 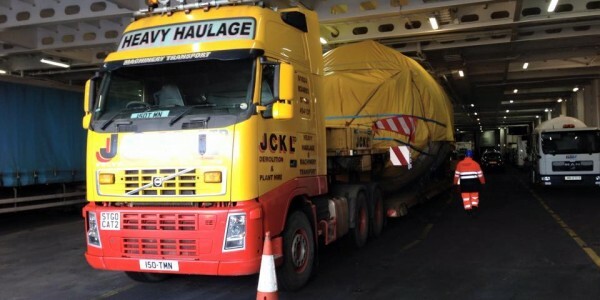 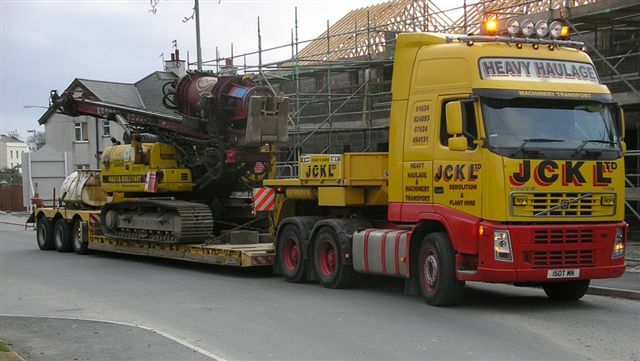 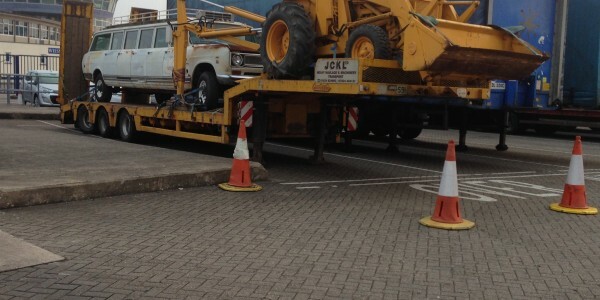 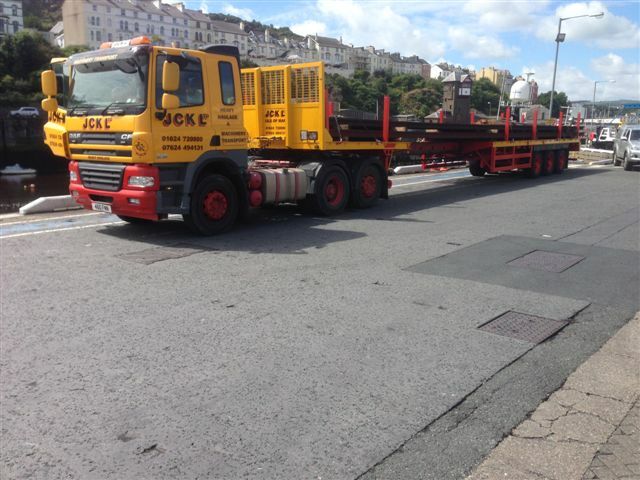 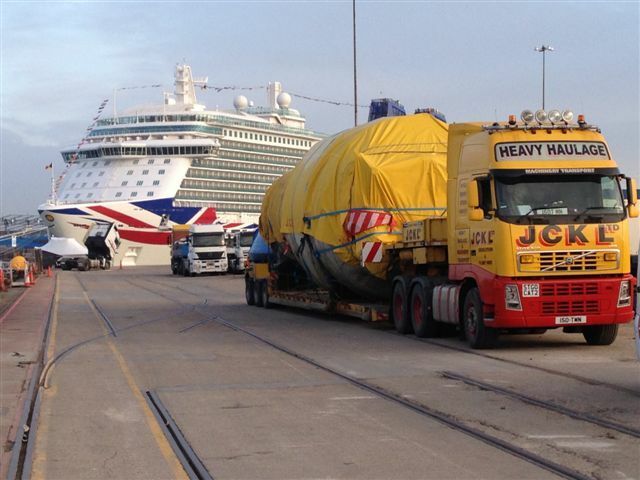 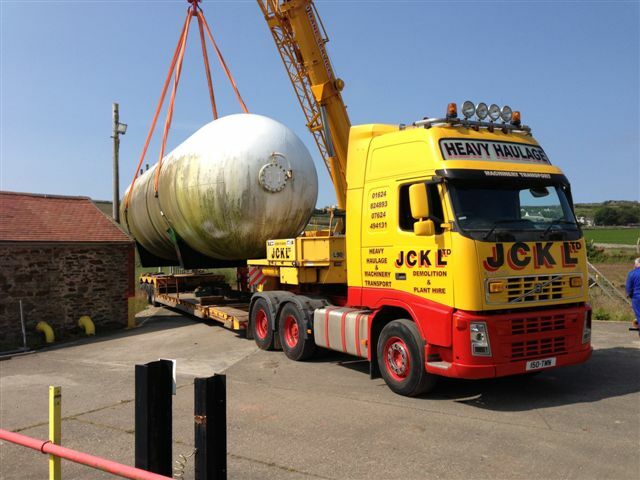 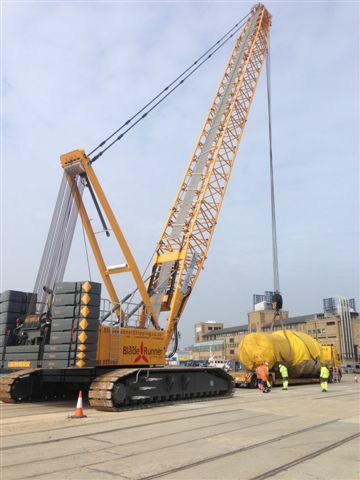 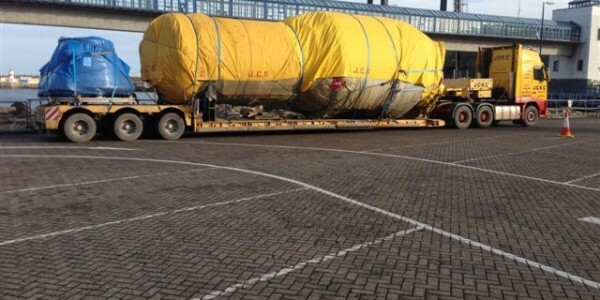 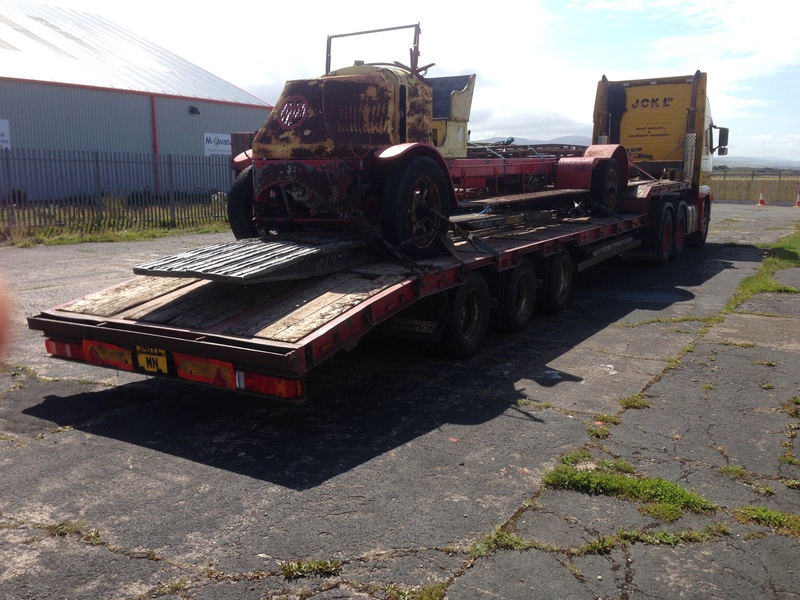 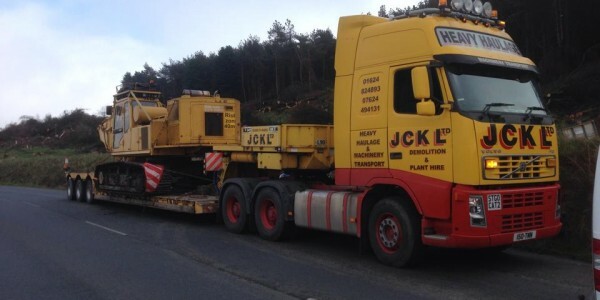 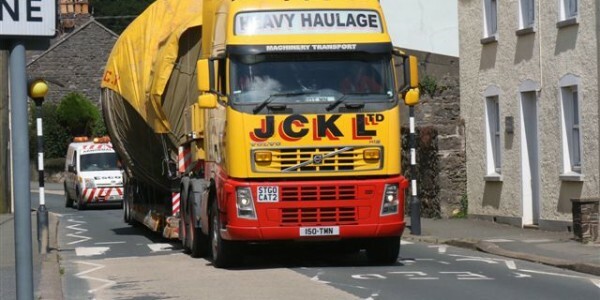 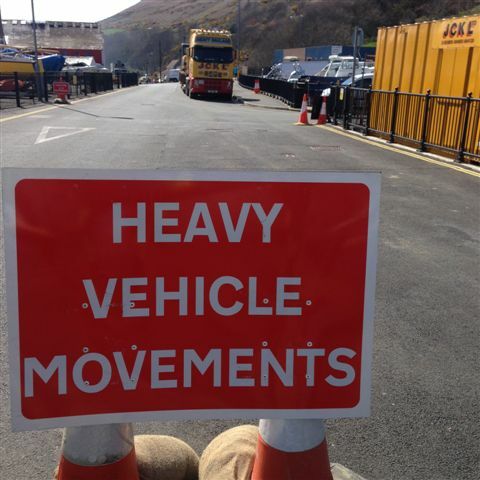 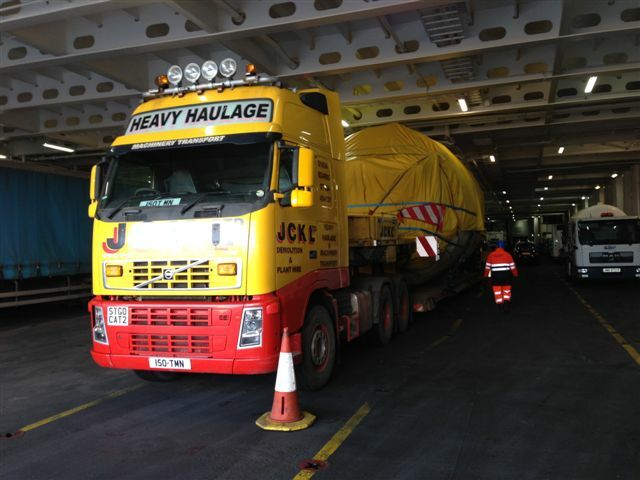 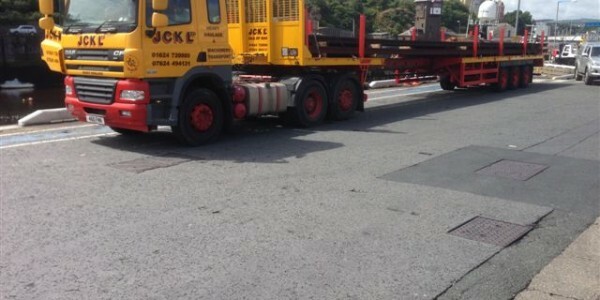 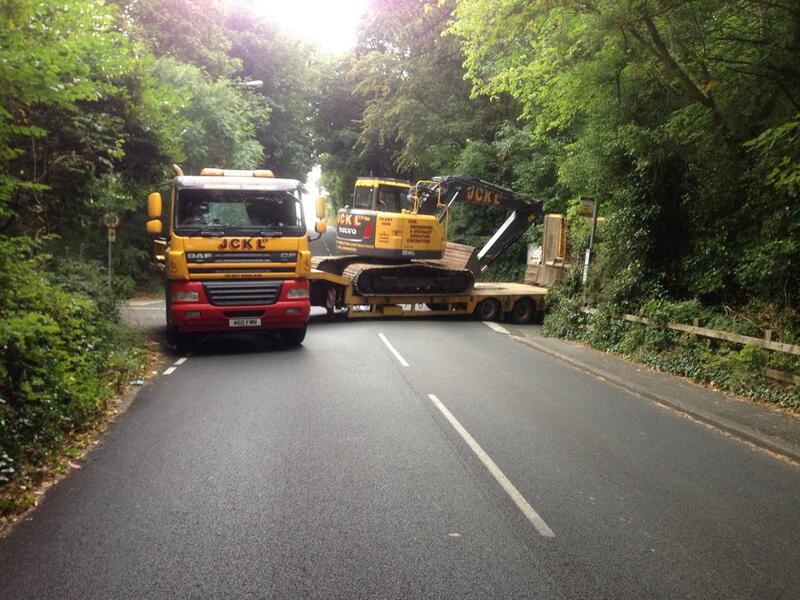 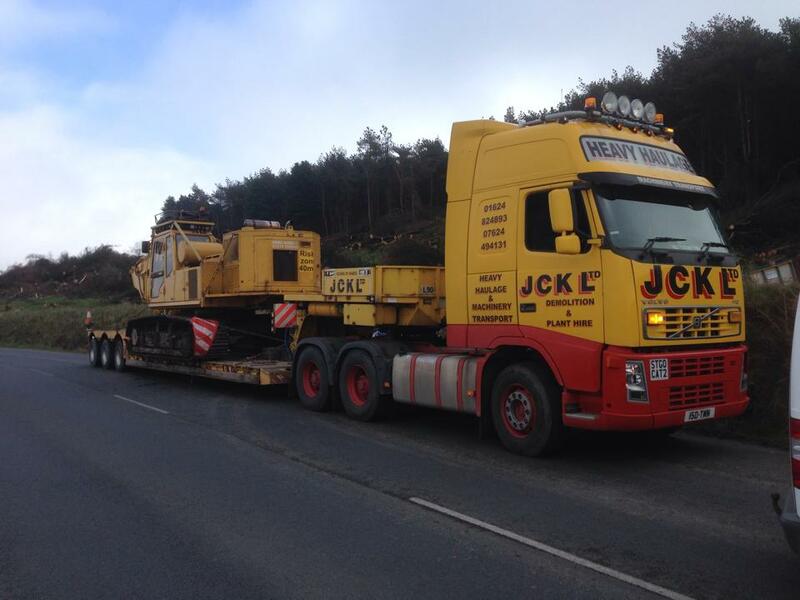 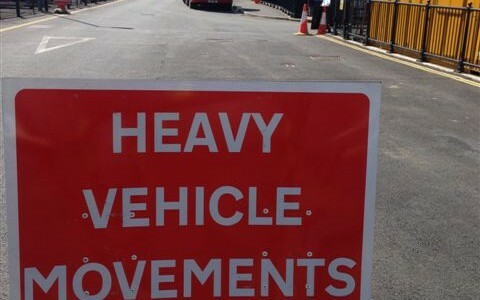 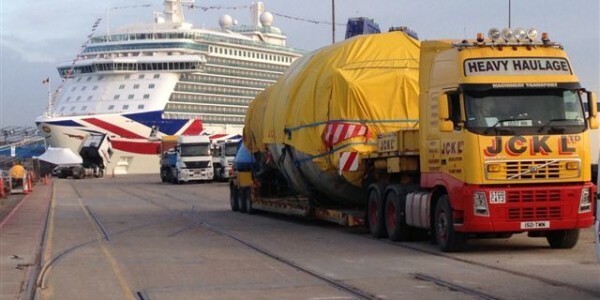 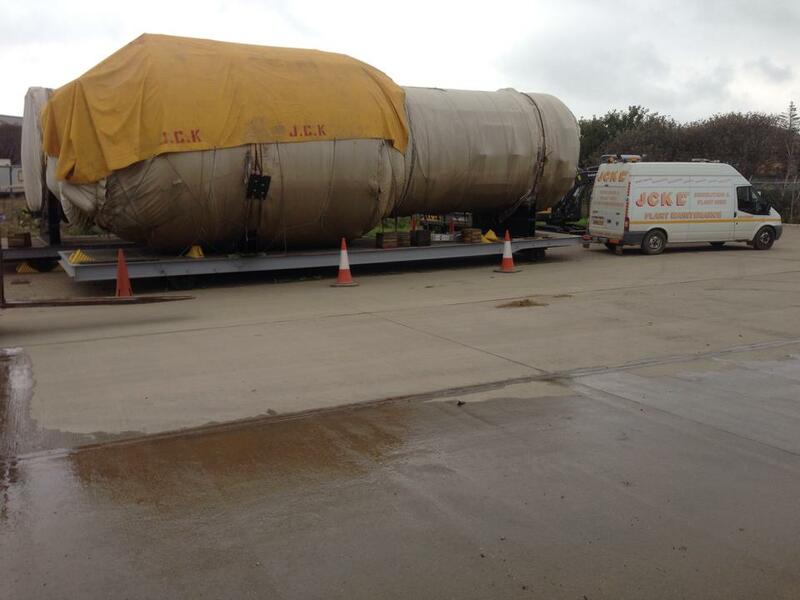 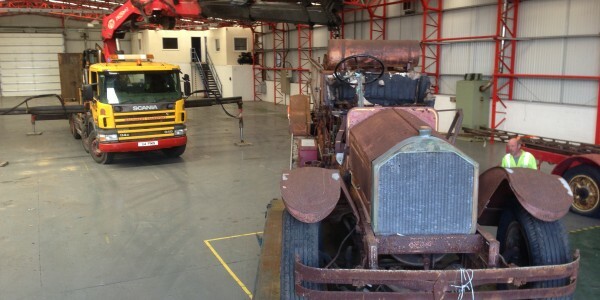 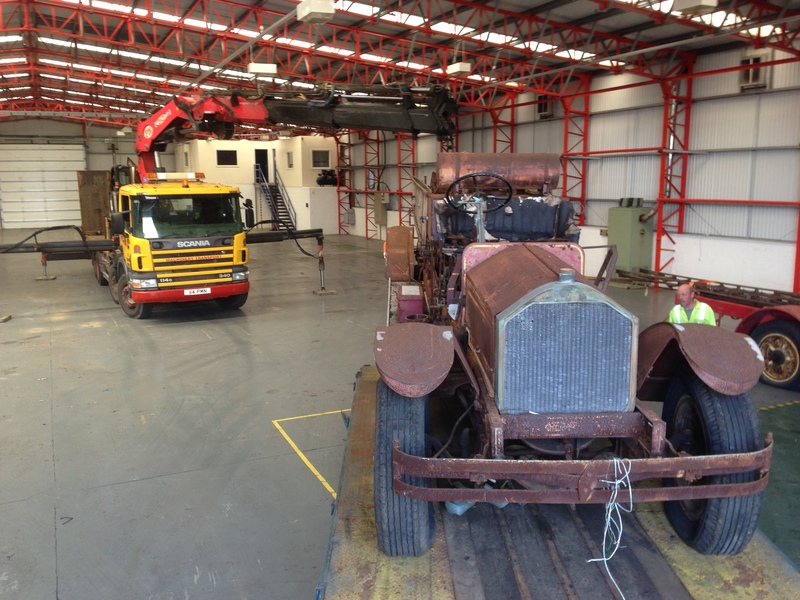 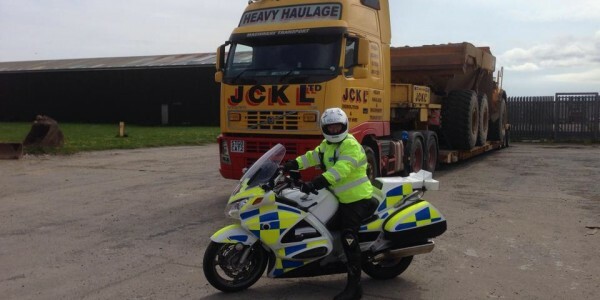 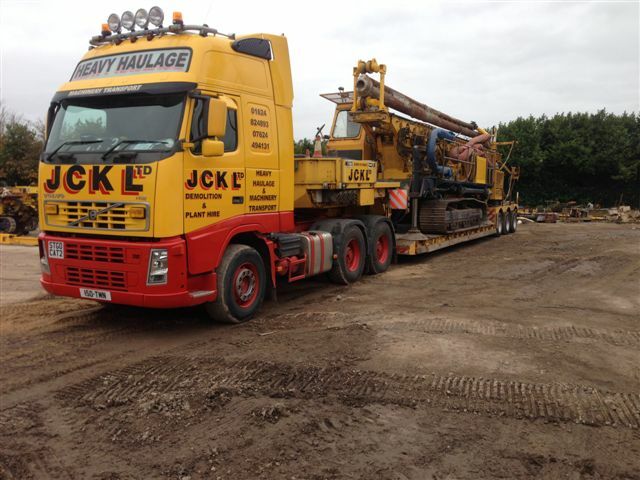 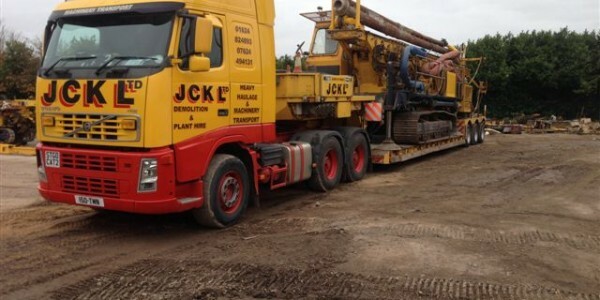 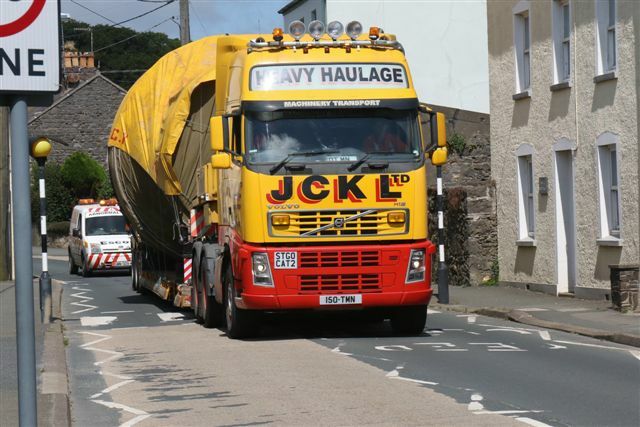 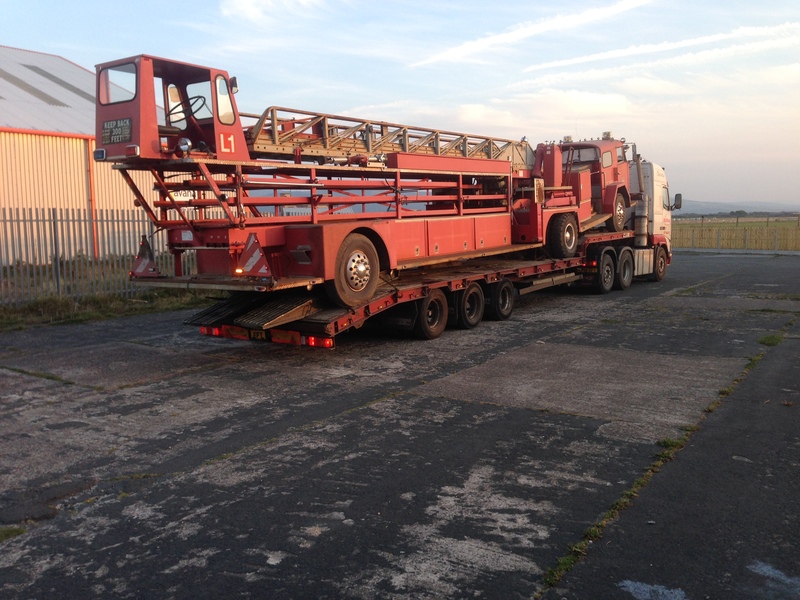 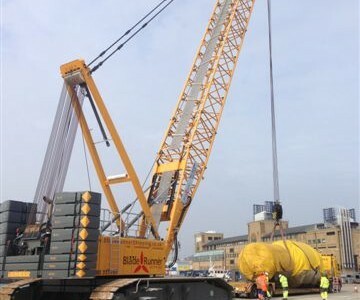 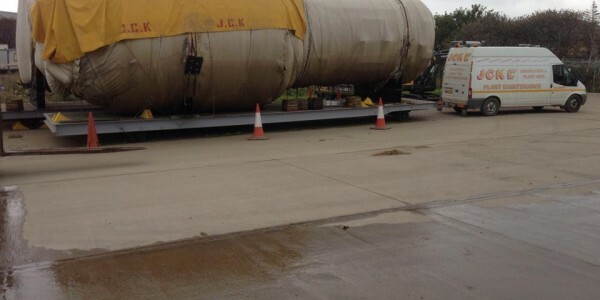 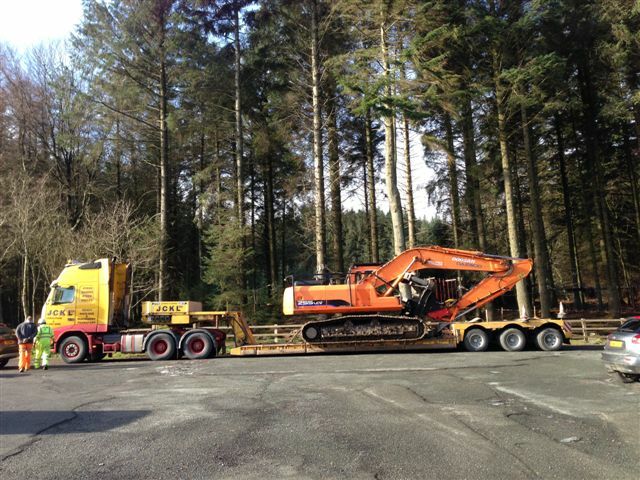 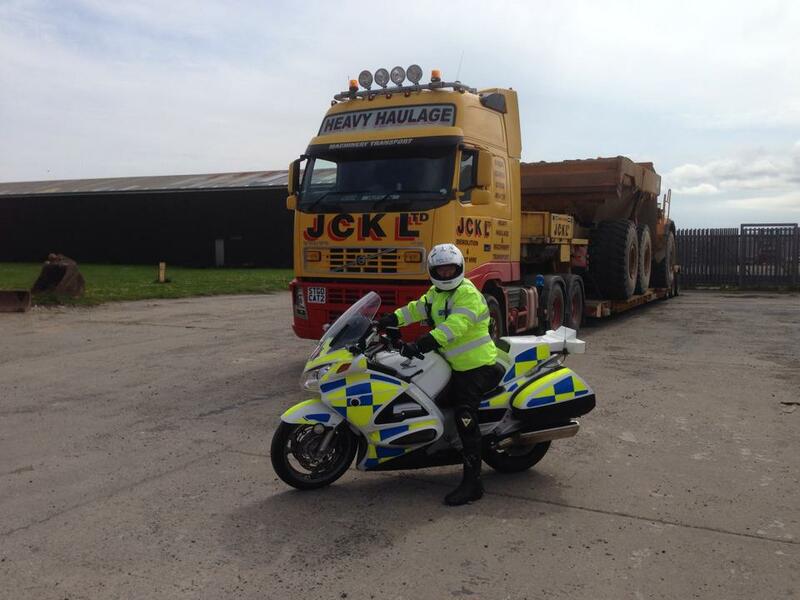 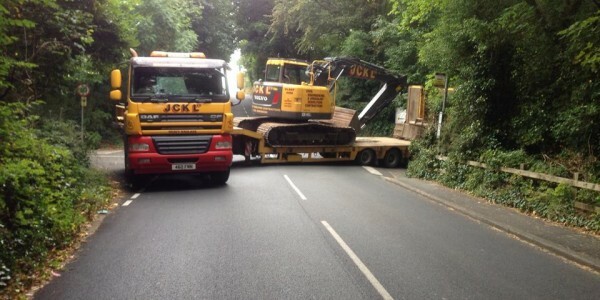 We can provide a comprehensive range of equipment for transporting plant, machinery and abnormal loads. 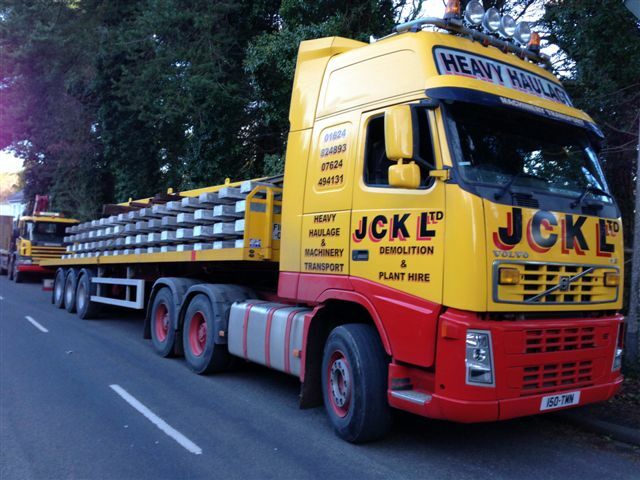 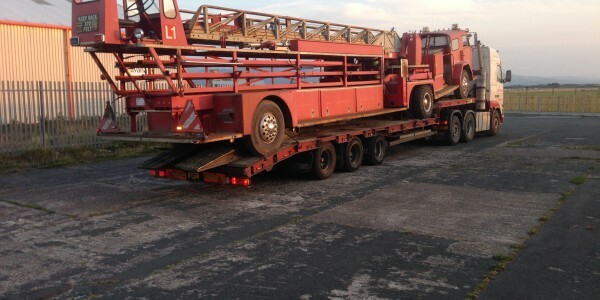 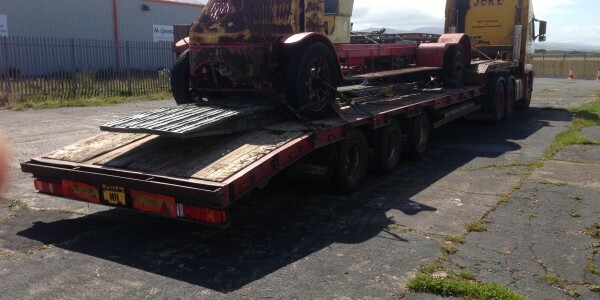 This includes extendable and powersteered step frame and low bed trailers. 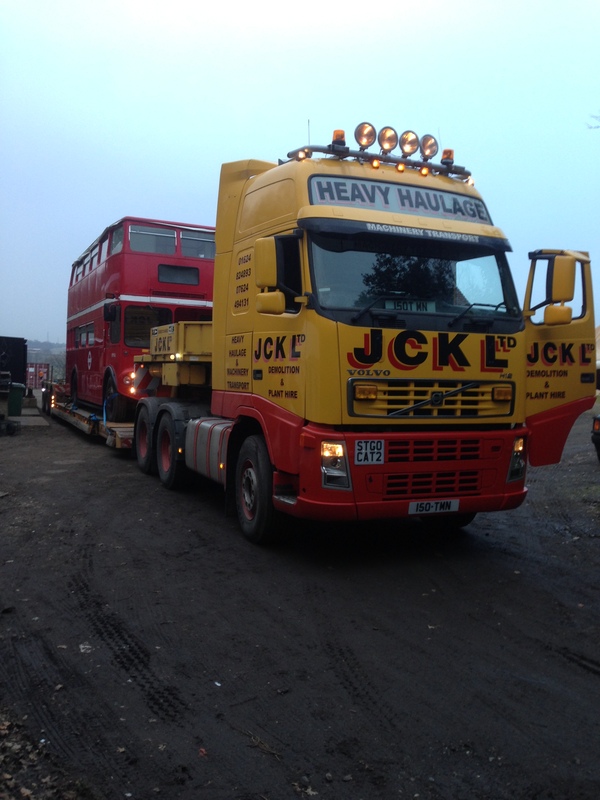 The specialist haulage division of the company is managed by Fred Quaye who has been working in the heavy haulage trade for many years. 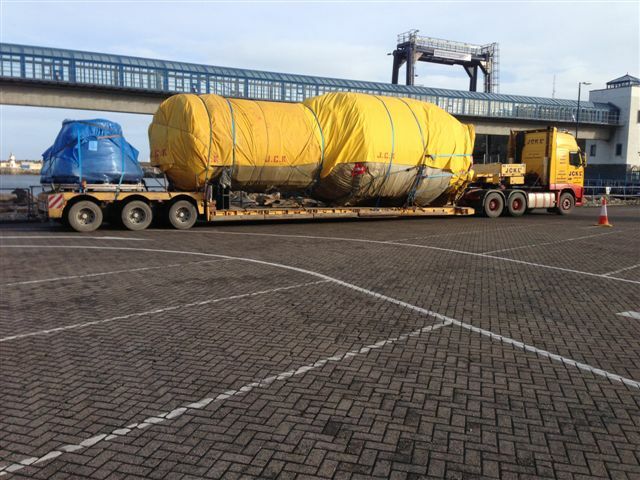 Having planned and carried out many large projects of multiple loads, Fred Quaye is more than able to advise and quote for this type of haulage.